As you guys know from years past, I don't typically decorate for Halloween. Usually I stick with a fall theme and keep it up from September to November. But this year, we've finally got a kiddo who actually cares about trick-or-treating and pumpkins! Well, kind of. As much as trick-or-treating means to a 14 month old who likes to run around, say "hi!" and wave to people. In that case, trick-or-treating is totally up HDawg's alley. 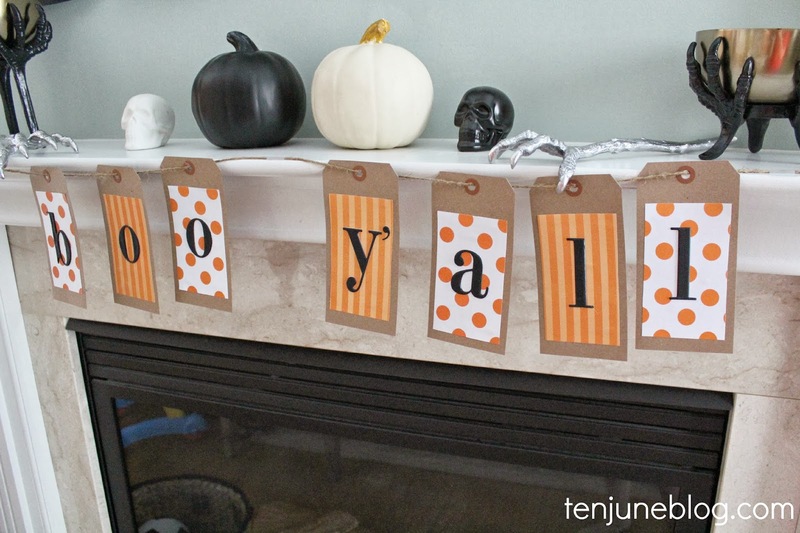 I sprinkled a few Halloween decorations around the house, but kept the spooky decor mostly to the living room fireplace mantel. I plan to move some of the elements to our front porch on Halloween night. We have a ton of kids in our new neighborhood, so hopefully we'll have lots of kiddos to impress! Of course, I don't want things to get too scary since HDawg is so young. So I decided to combine some scary elements with some adorable ones. 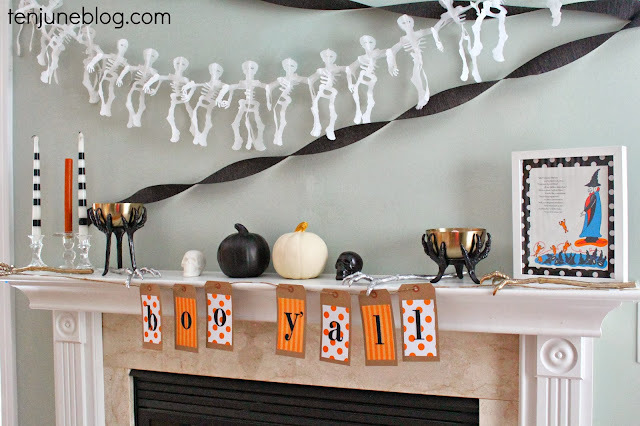 Without further ado, here's our cutesy and spooky Halloween mantel! My friends at Target sent over a few fun Halloween items to help me decorate for the season. I reconfigured those adorable silver and gold skeleton arm salad tongs and serving bowls as creepy decor. To balance out the creepy tongs and bowls, I added some black and white pumpkins and crafted up this little "boo y'all!" sign from scrapbook paper and twine. 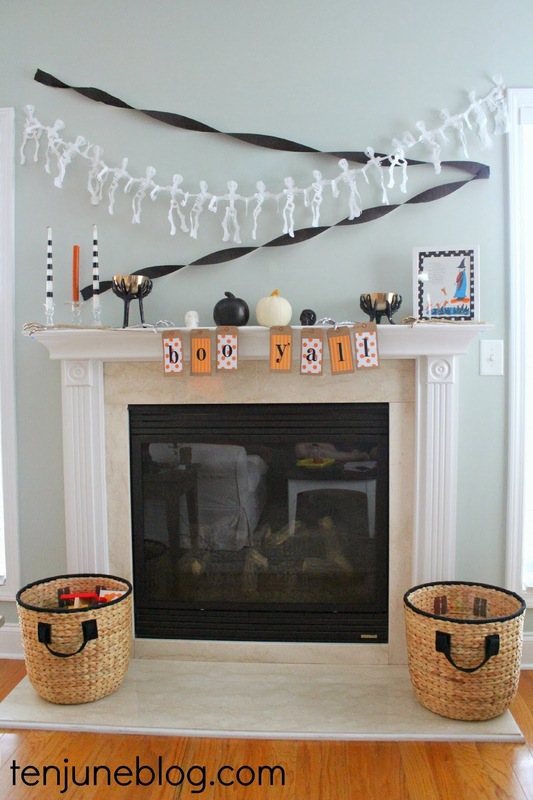 I took a cue from my girl Cassie and her amazing black and white Halloween mantel and added black and white striped candles. 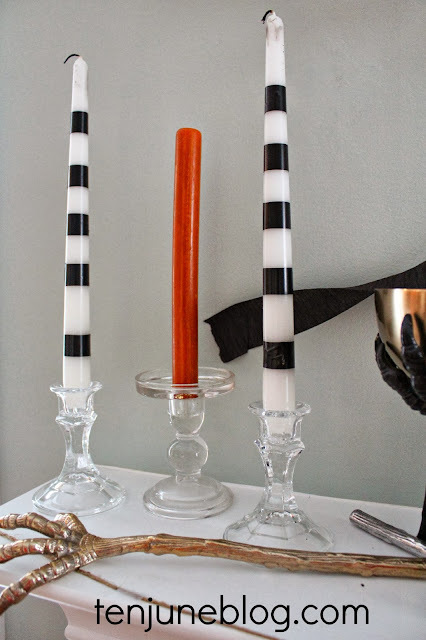 I made my own by adding black electrical tape to white candlesticks. Easy! 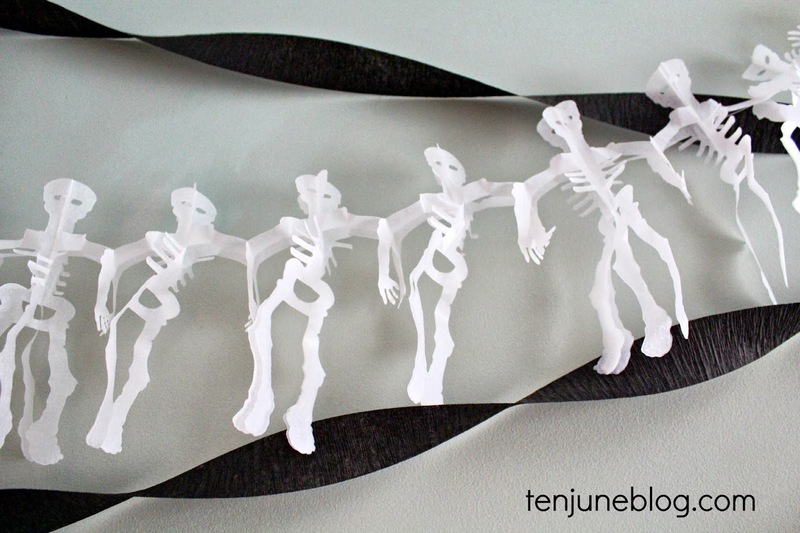 I think this skeleton banner is super cute- the skeletons kind of flap in the wind and look like they're dancing! HDawg things they're funny! 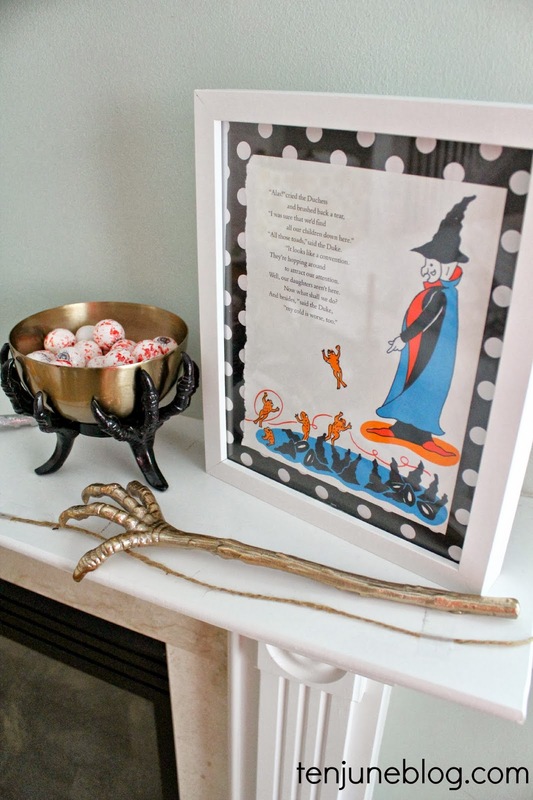 I framed a page from an old Halloween book in a cheap Ikea frame. I think the black and white polka dot wrapping paper I used as matting lends more "cute" to the other creepy elements. And it matches my polka dotted DIY banner! Cutesy + spooky, I'm telling you. It's the way to go. 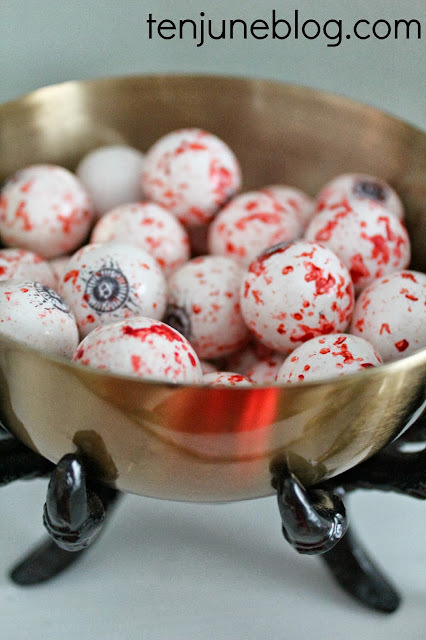 Eyeball bubble gum balls anyone?! 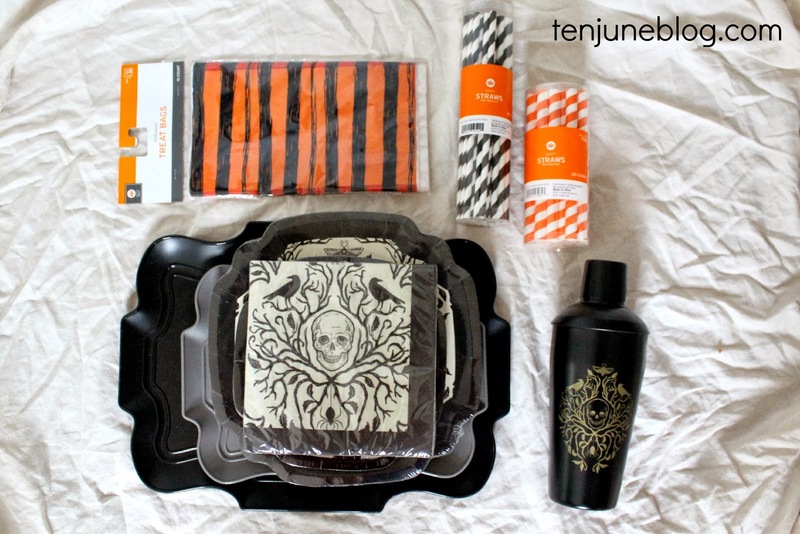 Target also has a ton of great Halloween entertaining items, like these plates, straws, mixers and fun candies. 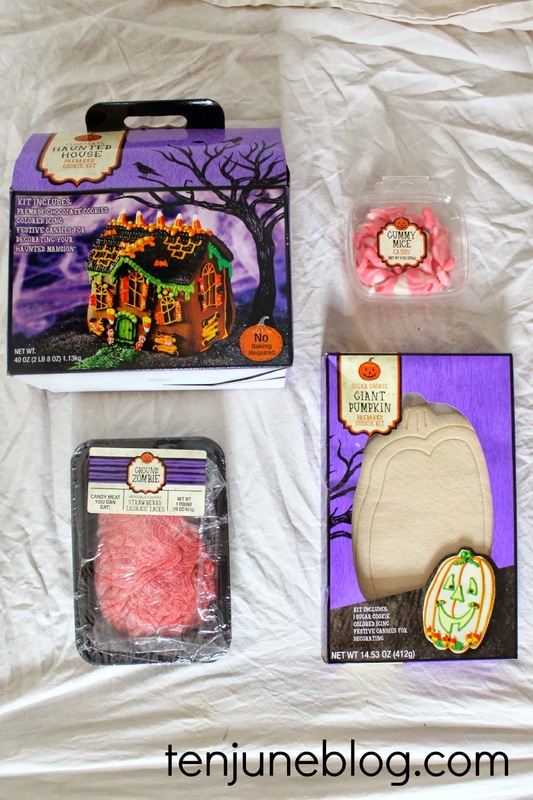 We may have a few neighbors over on Halloween night and these items will be perfect for celebrating! It may be my first Halloween mantel, but I have to admit, I kind of love it! This year was my first Halloween mantle too! I had so much fun with it though! 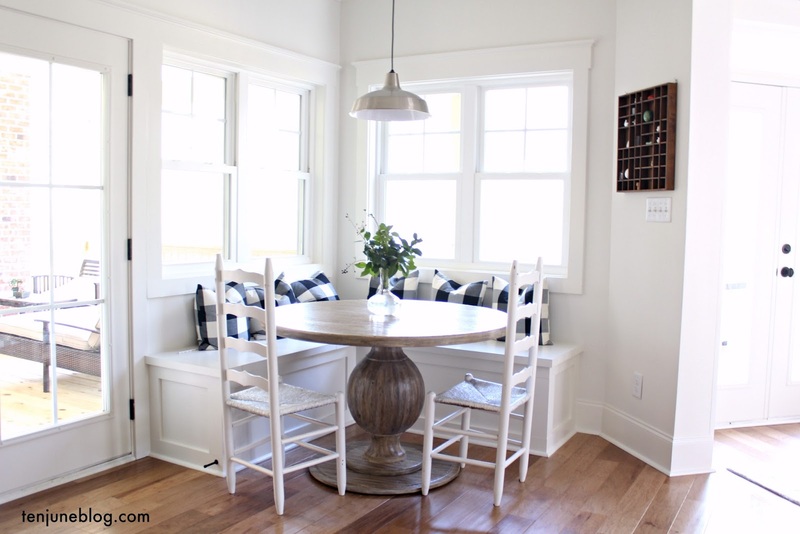 Love the DIY candles and framed book page! This looks great - love the banner, especially! Where did you get those baskets?